On Thursday, Jo, one of the great commenters to this blog, asked my a couple of questions on the nature of the Almighty, which I tried to answer as best I could. I offered to put up here a few books, which might help people trying to explore for themselves the theological and philosophical ideas and debates about the nature of God, faith, religion and so on. I set up this blog about a decade and a half ago to defend Christianity against attacks by the New Atheists. I don’t really want to get sidetracked back there, because some of these issues will just go on forever if you let them. And I’m far more concerned to bring people of different religions and none together to combat the attacks by the Tories and the Blairites on the remains of the welfare state, the privatisation of the NHS, and the impoverishment and murder of the British public, particularly the disabled, in order to further enrich the corporate elite. Especially as the Tories seem to want to provoke war with Russia. But here are some books, which are written for ordinary people, which cover these issues, which have helped me and which I hope others reading about these topics for themselves will also find helpful. God, literalism and poetry, A world full of Gods, Descartes and the cosmic machine, Wordsworth and Blake, the gods and poetic imagination, Conflict among the gods, Friedrich Schleiermacher: a Romantic account of the gods; Rudolf Otto: the sense of the numinous; Martin Buber: life as meeting, Epilogue: the testimony of a secularist. Prophets and seers; The prophets of Israel and monotheism; Basil, Gregory Palamas and Maimonides: the apophatic way; Thomas Aquinas: the simplicity of God; The five ways of demonstrating God; Pseudo-Dyonysius the Areopagite; The doctrine of analogy; Three mystics. The 613 commandments; Pigs and other animals; the two great commandments; The Ten Commandments; Jesus and the Law; Calvin and the Commandments, Faith and works; Theistic morality as fulfilling God’s purpose; Kant, the categorical imperative and faith, God as creative freedom, affective knowledge and illimitable love. 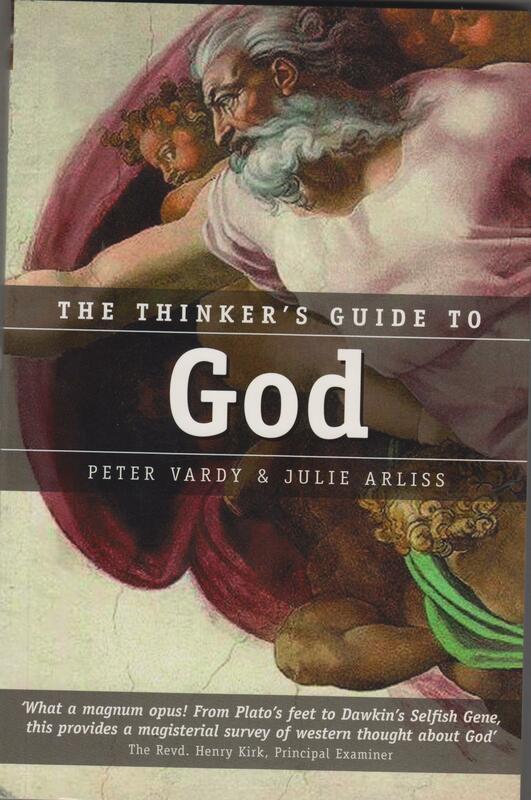 God and Job; Plato and the gods; the vision of the Good; Appearance and Reality; Augustine and creation ex nihilo, Aristotle and the Perfect Being; Augustine and Platonism; Anselm and Necessary Being; Evil, necessity and the Free Will defence; Creation as a timeless act; Faith and understanding. The timeless and immutable God; The rejection of Platonism; Hegel and the philosophy of Absolute Spirit; Marx and the dialectic of history; Pantheism and panentheism; Time and creativity, The redemption of suffering; History and the purposive cosmos; Process philosophy; The collapse of the metaphysical vision. paradox; Tillich: religious symbols; Wittgenstein: pictures of human life; Religious language and forms of life; Religion and ‘seeing-as’; Spirituality without belief; Non-realism and God; The silence of the heart. 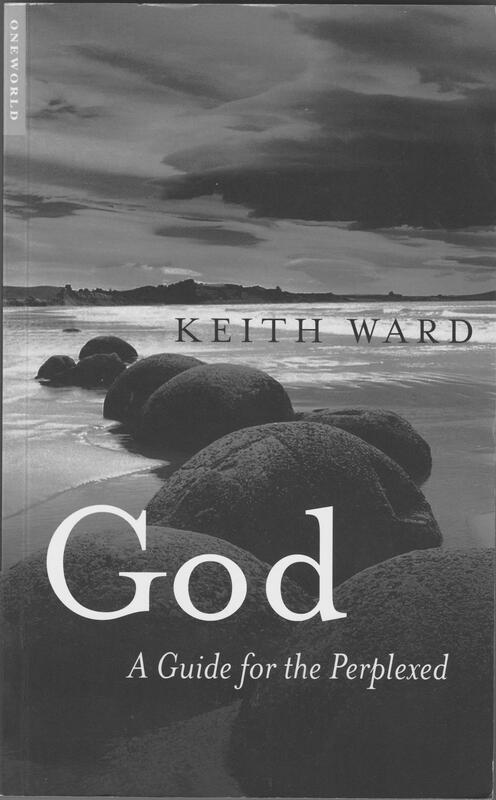 God as omnipotent person; The problem of evil; Fichte, Schelling, Schopenhauer and Nietzsche: beyond good and evil; Omniscience and creative freedom; God: person or personal; Persons as relational; The idea of the Trinity; The revelatory roots of religion; Conclusion: Seven ways of thinking about God. 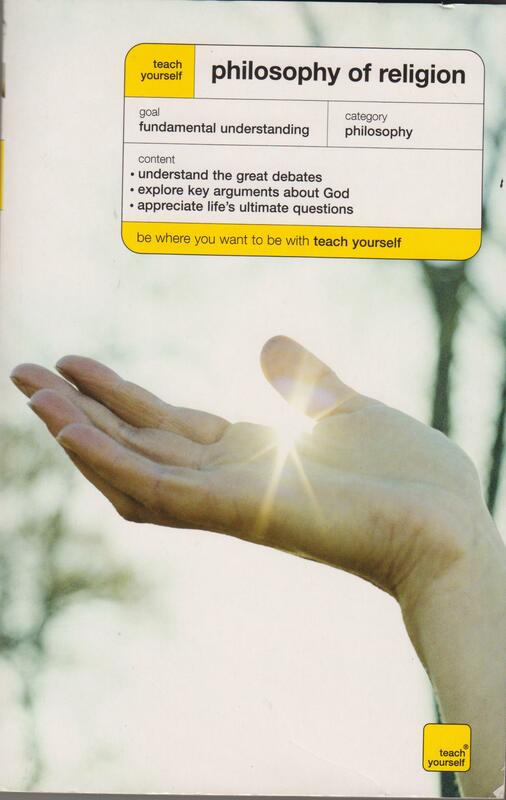 What is the philosophy of Religion? Why study religion in this way? What this book aims to do. What happens when you experience something? How are religion and morality treated? 4. Ian G. Barbour ‘The Structures of Science and Religion’. 7. Michael Ruse ‘Is there are limit to our knowledge of evolution? 7. Ronald J. Numbers ‘The Creationists’. 17. Michael Ruse, ‘Methodological naturalism under attack’. 20. Jurgen Moltmann, ‘God’s kenosis in the creation and consummation of the world’. 21 Elizabeth A. Johnson, ‘Does God play dice? Divine providence and chance’. 25. Gordon D. Kaufman, ‘On thinking of God as serendipitous creativity’. ‘The acute champion of Teleology, Paley, saw no difficulty in admitting that the “production of things” may be the result of trains of mechanical dispositions fixed before hand by intelligent appointment and kept in action by a power at the centre, that is to say, he proleptically accepted the modern doctrine of Evolution; and his successors might do well to follow their leader, or at any rate to attend to his weighty reasonings, before rushing into an antagonism that has no reasonable foundation’. Now Huxley here appears to assume a Newtonian ‘clockwork’ universe, in which the action of every atom is predetermined and one could predict the future state of the cosmos by observing the pattern of atoms and the interactions in the present. This conception of the cosmos has been seriously challenged by quantum physics and its discovery that atoms and sub-atomic particles follow probabilistic laws. The late palaeontologist and writer on evolution, Steven Jay Gould, denmied that the pattern of life was predetermined. He believed that if the history of the Earth was replayed, then it would be completely different with entirely new creatures arising. 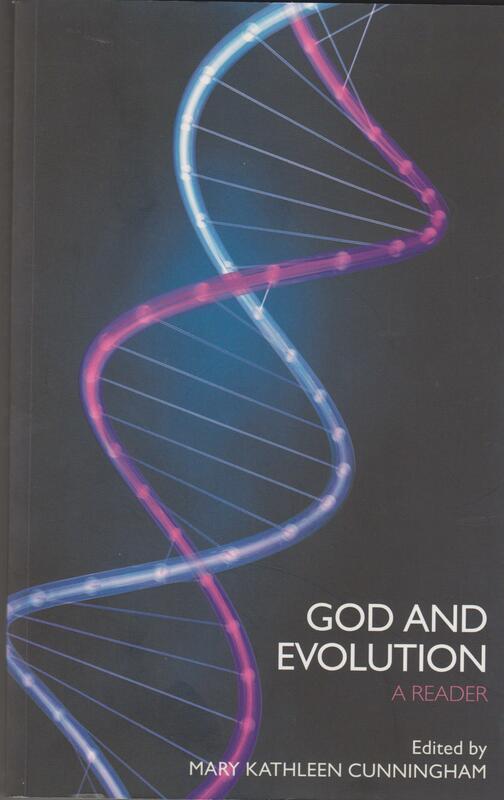 The Roman Catholic theologian, John F. Haught, in his God after Darwin: A Theology of Evolution, has nevertheless argued that evolution is teleological, in that new, higher forms of life have successively appeared from more primitive forms. Alister McGrath, in his Darwinism and Divine, also notes modern philosophers and theologians who have argued that God could act in nature to create new forms precisely through quantum indeterminacy. Thus Huxley, and some contemporary theologians and scientists, still consider that evolution is still teleological. For these contemporary theologians, God is still acting in the world, shaping His creatures through the evolutionary process. It’s a view that Paley was prepared to accept. This also means that Paley’s conception of special creation could also extend into something like modern Intelligent Design theory. Huxley was an opponent of special creation, but he did not argue, and indeed respected Paley, for considering the possibility of evolution, even if Paley believed that it was driven by a divine intelligence. Thomas Henry Huxley, ‘ON the Reception of the Origin of Species’ (London, 1887), in D.C. Goodman, ed., Science and Religious Belief 1600-1900: A Selection of Primary Sources (Dorchester: John Wright and Sons/ The Open University 1973) 455-82. Alister E. McGrath, Darwinism and the Divine: Evolutionary Thought and Natural Theology (Chichester: Wiley-Blackwell 2011). Yesterday saw the last part of Bill Bailey’s programme exploring the work of the Victorian explorer, Alfred Russell Wallace, and his independent discovery of the Theory of Evolution by Natural Selection. The show followed Wallace’s expedition through Indonesia, Malaya and Sarawak collecting specimens, and the creatures that spurred his discovery of the motor of evolution. In Darwin’s case, this was the famous finches he found in the Galapagos islands. In Wallace’s case, it was the different varieties of macaque and a species of tree-climbing kangaroo. Bailey pointed out the dividing line in that part of the eastern Pacific dividing the types of animals in that part of the world. Still called the Wallace Line after him, it separated animals characteristic of Indonesia and Malaya to the east, while to the west were those of Australia. The macaques Wallace found in the rest of the Indonesian and Malayan islands were grey with tales. On the island of Ternate, they were black without tails. They also had a tuft of hair which Bailey described as a mohican. In a piece of self-deprecating humour Bailey posed for the cameras, showing the apparent similarity between his own features and those of the macaques. Like David Attenborough with the gorillas in Life on Earth way back in 1979, Bailey seemed to get on well with primates. He sat very still while the macaques came up to him, investigated and sniffed him, and accepted him as one of their own. In the Australian ecological zone, Wallace discovered the tree-climbing kangaroos. With their smaller front paws and large hind legs, these animals weren’t well adapted to the arboreal existence. The programme showed a few of them gingerly making their way up the trees, with several mis-steps. This conflicted with the Natural Theology of the day, which, according to the programme, declared that each species of animal had been separately created. When the environment changed, and the animals died out, God simply created a new species of that particular animal which was better suited to its environment. Wallace also noted that some of the animals on different islands differed strongly from their cousins elsewhere. Looking at maps of the sea depth in the Indonesian and Malayan achipelagos near Irian Jaya, he theorised that whwere the sea was shallow there were once land bridges allowing species to cross from one island to another. The ease of access between 5these islands meant that these species remained closely related. The much deeper waters around the other islands meant that these islands were colonised by castaways, which drifted there. Cut off from the rest of the world, the creatures there evolved into markedly more different forms. The question remained of the actual motor of evolution, the process that brought these species into being. A bout of acute malarial fever led Wallace to remember Malthus’ Theory of Population, and he realised that quite small differences in an animal’s constitution could give it an advantage in the struggle for existence, such as larger eyes for finding insects in the case of lemurs. He thus discovered Natural Selection. Bailey was keen to take his hero out from under Darwin’s shadow, and the shadow the maneouvering that had taken place to make sure Darwin was not pre-empted by Wallace. Wallace was delighted when Darwin accepted him as one of his collectors. However, when Wallace sent Darwin a letter discussing his activities and his formation of a new theory of evolution, Darwin sent a polite reply telling him that he was working on his own, and implying that he should stay away in the tropics and not hurry back. When Wallace sent Darwin his letter outlining his theory of Natural Selection, Darwin was shaken. He had spent the last eight years working on barnacles to support his own theory, which he still had not published. Quickly consulting his friends, including the geologist Charles Lyell, Darwin decided to rush his own account, The Origin of Species, into print. He also read out a paper he wrote on evolution to a meeting of the Royal Society with Wallace’s paper. He did not ask Wallace’s permission, and Wallace was not even aware this had occurred until he returned to Britain. Bailey stated that, depending on your point of view, it was either a delicate compromise or a highly shameful episode.Nevertheless, after over a century of undeserved relative obscurity, Wallace was being accorded the honour that rightfully was his. At a meeting in the Natural History Museum, Bailey unveiled a portrait of the great man to hang alongside Darwin’s statue. It was a fascinating programme. As I said in my review of the first episode, Bailey is an affable, knowledgable host. Not only did the programme have some superb footage of the animals in Indonesia and Malaya, it also showed some equally interesting episodes with the human inhabitants of these islands. Bailey attempted to recreate the style of Wallace’s expedition, including what he ate, and his historic meeting with one of the countries’ rulers. When on his expedition, Wallace was forced to eat what he found in the rainforest. Thus, in another moment worhty of Ray Mears, he was shown eating a fruit bat. Bailey picked delicately at it, while his Indonesian hosts downed it with gusto. Wallace had had to get the permission of the Sultan of Ternate before he could travel there on his collecting mission. So Bailey also sought an audience with his highness. He therefore appeared outside the Sultan’s palace dressed in white linen suit, cravat and panama hat, while liveried courtiers and guards ushered him in. Eventually he was allowed into the Sultan’s presence. As you’d probably expect, the Sultan himself spoke excellent English, and was voluble on the subject of Wallace. Wallace himself appears to have been the subject of local pride. In a street near the waterfront Bailey found a mural of the eminent Victorian on the wall of a building. Beneath it, in Indonesian, was the legend ‘Alfred Russell Wallace, Ternate scientist born England’. Ternate clearly viewed him as one of their own. It was an excellent programme, but as I mentioned in my previous post, I have a few, major objections to it. Firstly, it didn’t mention how Wallace’s theory differed from Darwin’s. Unlike Darwin, Wallace believed that evolution was teleological, working towards higher and better forms of life. He also believed that human intelligence and our moral sense could not have been shaped by Natural Selection, but were the result of the intervention of spiritual entities. The programme stressed that Wallace’s theory was in conflict with Natural Theology and the scientific and religious establishment. It did not mention how scientific and theological opinion in Britain was actually turning away from Natural Theology and embracing evolution. I mentioned some of the reasons for this in my last blog post on the subject. In addition to these there was the influence of John Henry, later Cardinal Newman. Natural Theology was closely associated with William Paley, whose book was the major work on the subject at the time. Paley, however, was linked with the Benthamite Utilitarians. By the 1840s there was a reaction against Utilitarian philosophy. Newman rejected Natural Theology as it reduced the existence and operation of the Lord to a purely scientific question. At the time Darwin and Wallace were working, there was already a large body of opinion, both inside and outside the church, that was favourably inclined towards evolution. 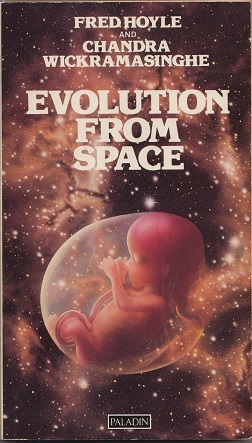 The programme also claimed that ‘Natural Selection’ was a radical theory. This is also open to question. Some of the Lamarckians, like Geoffroy, were also including it as an evolutionary mechanism before Darwin and Wallace. The Lamarckians had also discovered the theory of ‘adaptive radiation’, in which different species emerge as the parent species spreads out to colonise new territories before Darwin. Darwin even had one of their books on his shelf on the Beagle. The programme did mention that an earlier letter Wallace had written about the subject was dismissed as ‘nothing new’. There is therefore the question of how novel Wallace’s and Darwin’s theories actually were. In the case Darwin’s theory, it was still quite Lamarckian as Darwin believed in the inheritance of acquired characteristics. Subtext of Programme against Intelligent Design? The other problem with the programme is that it seems to be subtly written against Intelligent Design. The view that God creates new, improved species after the extinction of their predecessors sounds close to the modern Intelligent Design view that new species are created through an intelligence generating or inserting new information into the genome. For theists, this intelligence is the Almighty, though the official ID position is that the identity of the Designer is unknown. Now I have to say, I don’t know how prevalent this theory of speciation by divine action was at the time of Darwin. It sounds like the views of Richard Owen, the great Victorian naturalist whose statue used to stand in the Natural History Museum until ousted by Darwin four years ago. But previous generations of Natural Philosophers had also accepted that some speciation was due to natural forces. Ancient Greek anthropologists, including the medical authority Hippocrates, believed that the different races of humanity and their different temperaments were the result of differing climates and geographical influences. In the Middle Ages authorities such as the 15th century bishop of Paris, Pierre d’Ailly, stated that new species had emerged after the Flood when different animals moved into different environments. The types of animals were roughly fixed, but new species could arise from these types through natural, environmental influences. I have to say, I don’t know if this view was still current at the time of Darwin and Wallace, but it certainly had been present in evolutionary thought before them. It would have been good if the programme had mentioned this. In this case the programme looks less like a simple attempt to restore a forgotten Victorian scientific hero and more like another piece in the attack on Creationism and Intelligent Design. As for Wallace himself, Bailey stated that there seemed to be still some reluctance to be seen mentioning him. He said that while he was making the series, he had various scientists sidle up to him saying, ‘If you want any information on Wallace, here’s my card’, while looking around to see that they were not overheard. Bailey wondered why it was that the great Victorian should still be seen as somewhat disreputable and a danger to the careers of contemporary scientists. Though the programme didn’t say it, this might have been due to the fact that Wallace’s own theory of evolution still left explicit room for the operation of the supernatural. Bailey’s exploration of Wallace and his almost forgotten contribution to evolutionary theory was a fascinating programme, and well worth watching. But it omitted the larger debates on the nature of the evolutionary process and the growing willingness of parts of the Church to accept evolutionary theory in favour of a simplistic narrative of lonely outsider battling class prejudice and religious ignorance. I hope that future programmes on the development of evolutionary theory will correct this view, and do more to place Wallace, Darwin and their predecessors into the context of the wider changes in scientific and theological opinion of which they were apart. residual category for every idea or notion (certainly faith qualifies) that does not meet with scientific rigor to this man’s liking. His many defenders of course would claim these rules supercede Dr. Myers and despite Dr. Myer’s antics, still apply to science at large, whether we religious types like them or not. I’m sorry I’ve taken a while to get round to answering this. However, let’s examine some of these statements and the underlying assumptions. Firstly, Myers seems to make the Positivist assumption that science is the supreme method for acquiring knowledge about the world, and that it is indeed the only true form of knowledge. However, there are real problems with this. One major criticism of the Positivist position is that science, by itself, cannot prove that only science alone provides true knowledge of the world, contrary to the claims of philosophy. Indeed, in order to demonstrate that science provides true knowledge of the world, it requires philosophy and metaphysics, which Positivists like Von Carnap in the 1920s rejected and denounced as ‘disreputable’. So in these, areas, the Positivist claim for the unique ability of science to provide information about the true nature of the Cosmos fails. There is also the problem in that science is merely one of a number of different methods of acquiring knowledge about the Cosmos, and that there are areas of knowledge and experience where its methods are inapplicable. For example, in history the primary method of investigating the past is through the study of texts. Now clearly science can and does add immensely to the study of history. Psychology can provide insight into the minds and motivations of the people involved in the events of the past, and archaeology has provided immense information on the development of past societies, the way they lived and their culture. The primary source for history is still historical texts, as one cannot recreate the great events of the past in a laboratory. 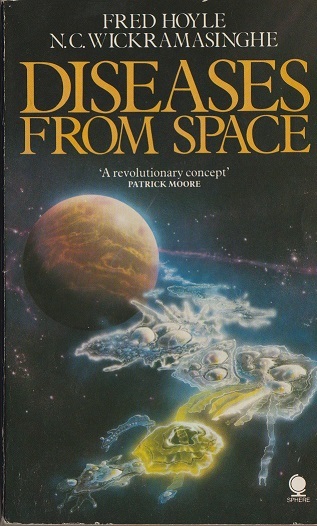 Moreover, the philosopher Mary Midgeley has also pointed out that other areas of human culture, such as poetry, will also produce great insights about the nature of the Cosmos before or apart from those of science. So there are areas of human knowledge, investigation and experience, where science cannot be the primary method for discovering truth. Now let’s deal with the statement that religion is somehow wrong, because it doesn’t use the methods of science. This attitude is mistaken, because it attempts to promote the scientific method, or judge one area of human experience and culture, by scientific methods that may not apply to it. As philosophers of religion such as Martin Buber have pointed out, at the heart of religion isn’t the attempt to provide a coherent, rational description of the universe, but the sense of a personal, transcendent presence within its phenomena or beyond it. Thus the ancient Egyptian religion included a number of different gods, some of whom, offered different explanations for the phenomena they observed. Yet this did not lead to friction within the religion as the religion was based on a personal experience of these deities, not whether they simply provided a rational explanation of the Cosmos. Now religion is a highly complex phenomenon to the point where it is difficult even to give a precise definition of it. Despite this, there are certain forms of religion – or religious investigation – that may be highly rational. For example, Neoplatonic philosophy in ancient Rome attempted to use reason to lead one into the contemplation of God, described as ‘the One’ or ‘the Good’. It was a philosophical school, but has been described as ‘the mind’s road to God’, and in this sense it could be described as a philosophical religion. So, in the case of Neo-Platonism, there certainly was a rational method of inquiry and investigation at the heart of a form of religion. Furthermore, different religions do possess different rules governing experience and observance. Subsequent revelations or statements from transcendent entities may deepen the basic revelation at the heart of that religion, but they may not contradict it. In the Mosaic Law, any prophet who demanded the worship of any other gods than the Lord was to be rejected, as this violated the basis of Judaism in monotheism, and the revelation that there was only one God. Similarly, St. Paul recommends that Christians test every spirit they encounter, because not all spirits are from God, and some of those spirits encountered may deliberately give wrong information to mislead Christians. Judaism, Christianity and Islam also developed distinct methods to govern the interpretation of Scripture and religious worship and observance. Thomas Aquinas discussed whether theology was a science, and concluded that it was, as it possessed a distinct methodology of its own. In fact, during the Middle Ages theology used the very same methods that contemporary scientists also used in their studies – Aristotelian logic, and discussions of natural theology very often included discussions of scientific subjects and phenomena. Thus in the Middle Ages, at least, science and Christian theology certainly did possess some of the same methodology and features. Theologians have also used science to ascertain whether some religious phenomena – miracles – are genuine. In the 18th century, the Roman Catholic clergyman leading the official investigation of reports of miracles, Prosper Lambertini, later Pope Benedict IX, compiled a handbook for their proper examination. Lambertini stipulated that this should include an examination of the miracle and the evidence for it by scientists and doctors, and his handbook has remained one of the standard, if not the standard text for the investigation of such phenomena by the Vatican until today. Thus, while religion is a completely different area of human experience to science, nevertheless it also possesses its own relevant methodology and may include science and its methodology in order to discover the truth about some phenomena, which may be considered supernatural. Now let’s deal with the list of seven features Myers and Lippard feel are typical of Creationists. This probably refers to the tactic of some Creationist groups of using two different approaches to have their views accepted by secular and religious schools. For example, some of the Creationist groups produced two different versions of their textbooks according to whether they were to be used in the public, state schools or by Christian schools. Those for use in the state schools stressed the scientific aspects of the case against evolution, but did not contain any references to the Bible, while those intended for use in Christian schools did contain references and arguments from Scripture. I suspect that Myers and Lippard consider this a conspiracy in the sense that the Creationist groups who adopt such a tactic are deliberately disguising their true intentions to reintroduce an explicitly religious doctrine into schools. Now, while some Creationists probably would like to see religious education re-introduced into schools, other Creationists traditionally didn’t, preferring that their children should be taught a view of the creation of the world and its creatures based on a literal interpretation of Genesis outside of school. These people distrusted attempts to establish a particular religious view through legislation. Thus, such tactics are only used, or have traditionally only been used, by some, but not all, Creationists. It’s also the case that some groups critical of Darwinism have stated that they don’t want a particular view of Creation taught in schools. Members of the Discovery Institute, for example, have repeatedly stated that Intelligent Design makes no statement over who the Designer is, and don’t want a literal view of Creation taught in school or even see Intelligent Design itself taught, just the arguments against Darwinism presented alongside those for it. Now clearly many supporters of Intelligent Design are religious, but that does not mean that the arguments for it are necessarily flawed, or that their reasons for questioning the philosophical naturalism in some textbooks are unreasonable. This probably means the deliberately use of specific examples from biology and palaeontology to challenge the general Darwinian account of the development of life, without discussing or excluding the evidence for it. The problem with this is that while there are undoubtedly some texts that may be highly selective in their presentation of information and arguments, there are other that present a variety of arguments and information from a number of different approaches and sources. Michael Denton’s book, Evolution: A Theory In Crisis, which inspired the Intelligent Design movement, presents a number of arguments against Darwinism, as well as various examples from biology, where it could be argued that Natural Selection is inadequate as an explanation. I’ve absolutely no doubt that there are a number of Creationist writers, who have little scientific expertise and who present spurious information and arguments to the public. A number of them have been strongly criticised by various Christian groups and writers on the net, who maintain websites attacking them and their views. This does not, however, mean that all the experts who reject Darwin are fakes. Some of the scientists who rejected Darwinism are extremely distinguished, such as Dr. Duane Gish, Wilder-Smith and Dr. Leonid Korochkin of the Institute of Developmental Biology of the former Soviet National Academy of Science. This looks like an attempt to counter the criticism of Darwinism that there isn’t enough supporting evidence for it. The assumption here is that people have too high expectations of the amount of evidence required to support Darwinian evolution. However, while there is indeed a vast amount of evidence to support Darwinism, some scientists have remarked that the evidence for it is not as complete or as strong as it has appeared, or was expected by scientists themselves. Thus, while some people doubtless expect too much from the evidence for Darwinism, there may indeed be real problems with it. Michael Denton, in his book, Evolution: A Theory in Crisis, indeed presents statistical arguments that there is a genuine lack of evidence for evolution, rather than the evidence exists, but has not been discovered yet. This might refer to the way people of faith, and particularly Creationists, view the world as an artefact created by the Almighty, often in terms very much like the way a human craftsman makes their products. However, merely because this view metaphorical does not mean it is incorrect, and that the world does not possess some of the characteristics of an artefact through its creation by an intelligent creator, in the same way that humans, who participate in God’s intelligence, also create artefacts. This probably refers to use of quotes by Creationists by scientists discussing the lack of evidence, or apparent lack of evidence for Darwinism by various scientists, who may then go on in the following passage to address this problem. However, that does not mean that there isn’t a problem with the evidence for Darwinism, even if the view taken of this by a Creationist is different from that of the scientist addressing it. This refers to the criticism of Darwinism and evolutionary theory by Creationists and other people of faith on the grounds of some of what they consider to be the social consequences of evolutionary theory. These include eugenics and the development of a worldview that apparently devalues human life, based on the view that if humanity is solely the product of evolutionary forces, then there are no transcendent values. For many people of faith, this worldview has resulted in a nihilistic culture that promotes abortion and divorce. Now the consequences of such an atheist interpretation of evolutionary theory does not mean that the theory itself is incorrect. It does, however, mean that the attempt to base morality purely on evolution, with no regard to the existence of objective, transcendent moral values, is severely flawed. One of the most controversial features of Ben Stein’s documentary about the institutional persecution of those scientists who support Intelligent Design, Expelled: No Intelligence Allowed, is its statement of the origins of the Nazis’ racial ideology, which culminated in the Holocaust, in Darwinism. The film’s many critics have angrily denounced it for using the horrors of the Holocaust to suggest that Darwin or his followers could ever have been responsible for one of the most horrific atrocities of the 20th century. Yet to historians the link between Darwin’s theory of Natural Selection and the genocidal racism of the Nazis is entirely uncontroversial. Regardless of their religious views, historians of the 19th and 20th century, and particularly those of Fascism and Nazi Germany, have accepted that Darwin’s theory of Natural Selection was one factor in the rise of Nazism, along with a number of others such as Hegelian philosophy and Von Treitschke’s ideas of German racial superiority. The fact that Natural Selection, and specifically the doctrine of the ‘survival of the fittest’, was a part of Nazi racial theory doesn’t mean that Darwinism is necessarily wrong. It does, however mean that scientists, and those who base their political doctrines on their ideas, aren’t automatically the best judges of morality. This should be entirely uncontroversial, even a matter of common sense. In the 20th century scientists were often responsible for the perpetration of great horror and suffering in experiments that were grossly immoral, quite apart from the Holocaust. The disclosure in the 1990s that the American authorities had conducted a series of radiation experiments on members of the armed forces and civilians, often on the poorest and most disadvantaged members of society, caused a massive scandal. The fact that this occurred, not in a totalitarian state like Nazi Germany or Communist North Korea, but in America, a country whose people feel is the most democratic nation on Earth, whose constitution is one of the most profound statements of innate and inalienable human rights, was a profound shock. Quite possibly it further contributed to the alienation and distrust many Americans feel towards the state, a feeling of suspicion and paranoia that found its reflection in the X-Files on TV. Horrifically immoral experiments like these have no doubt contributed to the suspicion many people have of science as a potentially amoral, degrading and dehumanising enterprise in which living things and people are dispensable, to be experimented upon as scientists, bureaucrats and politicians wish, and whose suffering can be entirely disregarded in the greater interests of the state and science. Of course the vast majority of scientists are as moral as their fellow citizens, and rightly view such atrocities with condemnation and contempt. Nevertheless, these episodes possess the power to shock and appall because of science’s immense power, a power which can easily appear to some to give them the ability to behave as they wish, above the moral constraints of the rest of society, regardless of the harm, cruelty and suffering they may inflict. Part of the problem here may also be that scientists are somehow expected to behave better, to be more moral, because of their greater insight into the nature of the physical world. The immense benefits created by science are obvious, and clearly the medical professionals engaged in treating and healing disease rightly enjoy immense respect. It’s therefore particularly shocking and disturbing when instead of healing and improving life, science is directed towards inflicting pain and destroying it. Hence the horror and disgust surrounding the Holocaust, and human experimentation in Nazi Germany, wartime Japan, America and elsewhere. Part of the horror and intense controversy surrounding such scientific abuse may also derive from the fact that since the Enlightenment science, or its spokesmen, have attempted to claim for it a status as the only reliable guide to morality previously reserved for philosophy and religion. In the 18th century sceptical rationalist philosophers, such as Voltaire, Diderot and Bentham, believed that it was only through the application of human reason that society could be properly reformed, and a just social order created, in contrast to what they saw as the superstition and tyranny created and maintained in traditional European society. In the 19th century, Darwin’s greater defender, T.H. Huxley, strongly believed that science was far more moral, and would be a far better guide to morality, than tradition religious belief. Indeed, ‘Huxley argued at great length to prove that Darwinism would be a greater eithical force than Christinaity had ever been.’ 1 Huxley’s view of the superiority of science as a guide to ethics in contrast to the churches wasn’t unique. In Germany during the 19th century the medical materialism of part of the scientific establishment contributed to a large proportion of the membership of liberal and left-wing movements being composed of doctors and other scientists. These doctors and scientists felt that scientific materialism would create a far more moral society than the repressive society of contemporary Germany, with its feudal social order in which religion was an integral part of the political establishment. Questions of morality have traditionally been the province of philosophy and religion. Philosophers and theologians down the centuries have devoted much effort in defining morality, and attempting to develop practical guides for moral conduct. This has not changed with the rise of science. While science clearly has a major role to play in suggesting practical solutions to major problems, such as in the eradication of pests or the role of disease, nevertheless moral questions themselves still remain the proper subject for philosophers and theologians. Similarly, whatever their skill as scientists, it does not mean that scientists are necessarily more moral than any other member of society. Insight in one area, such as physics or biology, does not give one a greater insight into the nature of evil or what constitutes the truly good life, any more than great skill in any other field of human endeavour. Moreover, by claiming that Darwinism was superior to Christianity and other forms of traditional religion, Huxley, and similar evolutionary biologists like Ernst Haeckel in Germany, made it possible for some scientists and laymen to disregard traditional Judaeo-Christian humanitarian concerns as unscientific and morally backward. And from the criticisms of Stein’s movie, Expelled, for mentioning that there was a link between Darwin’s theory and the Holocaust, it seems that Huxley made it extremely difficult for some to accept that Darwinian evolutionary theory played a role in the rise of Nazism. Now as I said, the fact that Darwinism was one of the influences on the emergence of Nazism does not mean that Natural Selection is wrong, or diminish Darwin’s achievement as a scientist. It simply means that science, including Darwinism, is by no means a reliable guide to morality, and that society, and science, still needs to be morally guided by philosophy and religion. ‘Man has discovered in nature the wonderfull notion of that all-mighty being whose law he worships. He also stated that progress lay in the discovery of those laws of nature and adherence to them. ‘In any case, we shall learn to become familiar with the laws by which life is governed, and acquaintance with the laws of nature will guide us on the path of progress.’ 3 Now living a life in harmony with nature and its laws had been a moral ideal since ancient Greece. In the 18th century Enlightenment philosophes such as Rousseau had also recommended it as part of their campaign to create a more moral and humane society. In the case of the Nazis, it became immoral and sinister through their conception of racial conflict and genocide as part of the laws of nature. Huxley also seems to have shared this pantheistic conception of God, declaring that the Almighty as ‘the sum of the customs of matter.’ 4 Huxley and Darwin were certainly not Nazis, no matter how much the Nazis may have based their own racial ideology on the idea of the ‘survival of the fittest’. Nevertheless, it does seem to indicate that Hitler was influenced by the pantheistic religious views that evolutionary biologists such as Haeckel expounded, while he elsewhere rejected Huxley otherwise very traditional Victorian morality. While the influence of Darwinism, along with a number of other 19th century ideologies on the Nazis certainly does not mean that Darwinism is wrong, the suffering and carnage they inflicted, along with those of the Communist states, were an example of the horror that can result when traditional religion is rejected in favour of a totalitarian political ideology claiming a basis in science, considered as being morally far superior to religion and traditional religious morality. The holocaust, and similar atrocities are instead a demonstration that science has not superseded Judaeo-Christian morality, but indeed needs to be governed by it. 1. Harry Hearder, Europe in the Nineteenth Century, Second Edition (London, Longman 1988), p. 400. 2. Norman Cameron and R.H. Stevens, trans., Hitler’s Table-Talk: Hitler’s Conversations Recorded by Martin Bormann (Oxford, OUP 1953), p. 6. 3. Cameron and Stevens, Table-Talk, pp. 6-7. 4. Hearder, Europe, p. 399.